AMP (ASX: AMP) shares have plunged after the wealth manager announced it will sell its Australian and New Zealand wealth protection and mature businesses to London-based insurance firm Resolution Life for $3.3 billion. The company, which came under intense scrutiny from the royal commission into the country's financial sector for wrongdoing earlier this year, also said it was contemplating an initial public offering for its New Zealand wealth management and advice businesses in 2019. 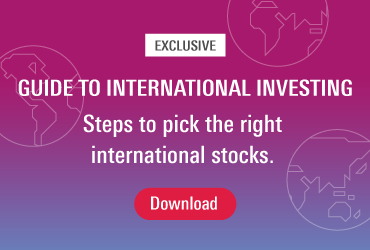 The sale value of its Australia and New Zealand wealth protection and mature businesses would amount to $1.9 billion in cash, with a non-cash component making up for the rest. AMP shares were down 63 cents, or 19 per cent, to $2.68 at 2.40pm Sydney time. The company’s fall comes as the Australian share market plumbs 12-month lows, following a dive on Wall St overnight amid a cocktail of disappointing economic and trade news. AMP said it expected to monetise the non-cash consideration over time, without putting a timeline on it. It expects the sale to close in the second half of fiscal 2019. Also, AMP said it has entered into a reinsurance agreement with Zurich-based insurance firm Swiss Re for the New Zealand retail wealth protection portfolio that is expected to release up to $150 million of capital, the company said. In August, AMP booked its worst first-half profit in 15 years as it set aside cash to compensate customers it sold bad advice, and said that people were still withdrawing money amid a misconduct inquiry. On the Australian share market, there were 2 per cent losses for financials, miners, energy, healthcare, infotech and telcos as red reigned during morning trade, with the benchmark S&P/ASX200 index extending its early fall to 125.5 points, or 2.15 per cent, to 5703.7 at midday. 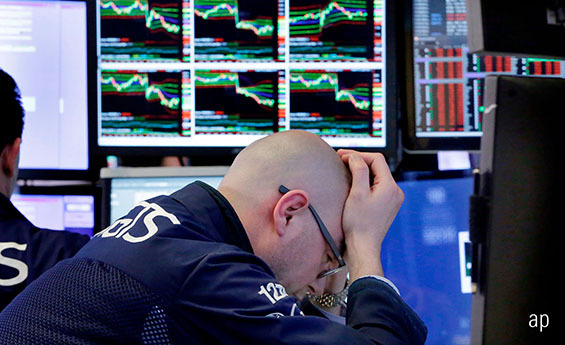 The broader All Ordinaries is down 127.4 points, or 2.15 per cent, at 5799.1, while the Australian dollar has steadied, and is buying 70.70 US cents from 70.99 on Wednesday. Thursday's opening tumble follows a fall by US stocks overnight, which confirmed a correction for the Nasdaq and erased the Dow and S&P 500's gains for the year amid disappointing earnings, economic growth concerns, a spat between Italy and the European Union and the killing of a Saudi journalist. The dive also continues the ASX's worst month in more than three years, the market now down more than 8 per cent for October - and 10 per cent since August - edging ever closer to an 18-month low of February 2016 in its fifth straight session of losses. Energy stocks are enduring their worst month since September 2015 and lost another 2.37 per cent early on Thursday on flat oil prices. Resources fell further, with giants BHP and Rio Tinto shedding 2.99 and 2.97 per cent respectively, and Fortescue Metals losing 4.4 per cent after reporting a fall in first-quarter iron ore shipments. Only a few of the gold miners, buoyed by an uptick in gold prices, saw a bit of green early on. The big four banks are down between 1.76 and 2.03 per cent each - the losses led by NAB - while Macquarie Group is down 3.03 per cent. Meanwhile Qantas says a jump in forward bookings and higher airfares has helped offset rising fuel costs for a 6.3 per cent rise in first-quarter revenue to $4.41 billion. However, the airline's share price was down 3.65 per cent to $5.415.